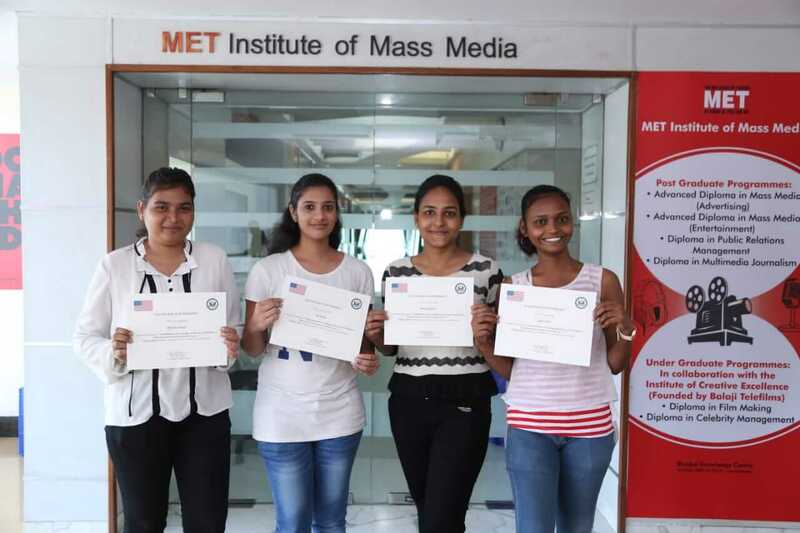 The Journalism students of MET Institute of Mass Media recently attended a panel discussion at the US Consulate, Mumbai. The topic of discussion was ‘Fake news that is going viral on WhatsApp’. The panel had senior journalists from renowned news media across different beats who mainly work on cross verifying how authentic the news is. The panelists shared insights on ‘how to prevent panic created amongst people due to fake news’ and also spoke on ‘how to avoid fake news from spreading’. MET students interacted with the panelists and networked with the senior media professionals present at the event. “It was an amazing learning experience and a great place to engage with senior industry professionals”, said the students. Some of the topics discussed also included checking authenticity of a fake news, WhatsApp encryption mechanism & privacy issue like data getting shared for commercial purposes. The session also helped students to know why such fake news is created & how it is misused to generate ad revenues by increasing traffic on a spam websites. MET Mass Media students who are always looking forward to learning opportunities appreciated and benefited from the session.